One coat polishes are the best! And black is classic! Have you tried the white one from this line? I'm looking for a good none streaky, one coat white polish, and I've heard from some that the wet n wild white is supposed to be good? I'm so happy I got this baby in a swap! @nihrida, I'm always impressed with WnW quality and you are right, can't beat the price! @Biba, I'm glad you were able to get your hands on it!! 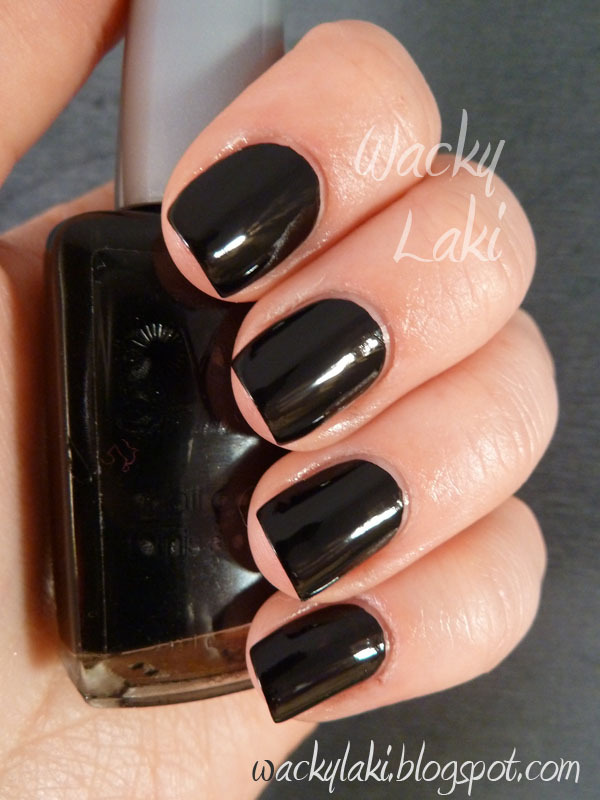 This black is amazing! I rarely ever wear it but when I do, this one is the best. ONE COAT!